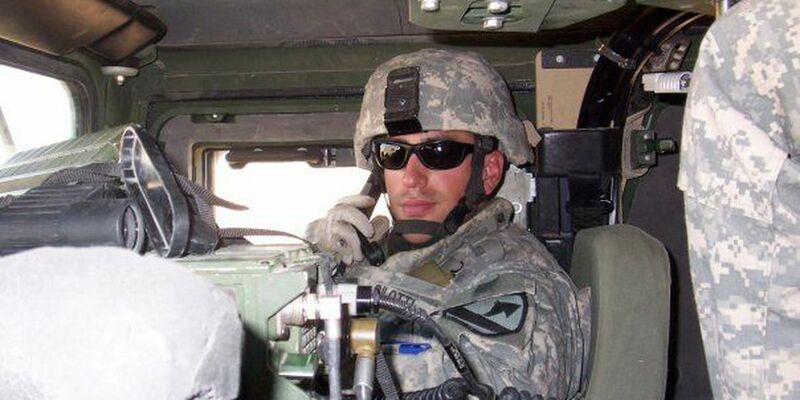 HOOVER, AL (WBRC) - An Iraq war veteran and married father of two was shot to death in front of his Hoover home while he was on his way to go work out at the gym early Tuesday morning. His wife identified him as Mike Gilotti. Hoover police released his full name as Jonathan Michael Gilotti, 33. Gilotti's wife said her husband of nearly eight years loved to work out and that's why it was routine for him to head out early in the morning for the gym. The two met while jumping out of helicopters as part of Air Assault School when she was in the ROTC. Gilotti was a father to a 5-year-old boy and a 1-year-old boy. He was a State Farm team manager originally from Connecticut. He and his wife moved from Jacksonville, FL to Alabama three years ago. Gilotti also served for 15 months in Iraq as a tank commander from the 212 Calvary and first lieutenant, his wife said. Gilotti's wife said she worried about his safety every day he served in Iraq. He came home safely only to have his life taken as he walked out of their front door, six days before their eighth wedding anniversary. When asked how she wants people to remember her husband, she gave this response: "He was an amazing father, an amazing spouse. He was everything. A standup citizen who loved the Lord." Hoover police believe Gilotti's death may be connected to a series of at least 10 car break-ins that were reported in the same neighborhood. Police were called to the scene around 4:55 a.m. in the 5550 block of Parkside Circle in the Lake Cyrus subdivision. Hoover police spokesperson Captain Gregg Rector said the 33-year-old homeowner was fatally shot as he was leaving for the gym. Rector said it's possible Gilotti may have encountered someone who was trying to break into cars on his street. Rector said Gilotti was shot once in the upper body, collapsed in front of his home and died at the scene. "I know from my perspective, it angers us. This victim was about as innocent of a victim as you can get. It's a 33-year-old businessman, he's getting up early in the morning at 5 o'clock, he's going to the gym to work out," Rector said in a noon news conference. "I've also recently received information he's an Iraqi war veteran. This is an individual that's served his country, he's a hard-working guy, he lives in a nice subdivision, he's getting up early in the morning to go work out, he's providing for his family and kids and then he encounters some ruthless individual who, may be the case, where stealing something from a car is more important than human life," Rector added. "It's disgusting and it angers us and we're going to use all our means that we have at our disposal to solve this crime," he said. At least 10 car break-ins were reported in the Lake Cyrus community overnight, all in Parkside Circle. Rector said the victim's wife called 911 to report the shooting. After police began to investigate the homicide, they began getting the reports of car break-ins. All 10 of the break-ins investigated so far happened to cars that were unlocked, Captain Rector said. Police on the scene of the homicide discovered some of the car break-ins and others were reported by neighbors in the area. Rectors said it was clear by looking into some of the cars that items had been moved around and pilfered. Detectives are still working on a list of items that were stolen from the vehicles. Captain Rector said they are investigating each car break-in for possible evidence connected to the homicide. He said car burglars aren't typically armed, but it's not out of the ordinary. He also said the car burglars may have stolen guns from the cars they broke into, and there's a chance the victim was shot with a stolen gun. "The Hoover Police Department sends its deepest sympathies to Mr. Gilotti's family. Please keep them in your thoughts and prayers," the department said in a news release on Tuesday afternoon. Police are asking anyone who lives in the area who thinks their car may have been broken into overnight to file a police report. "It is critical that crime scene investigators are able to examine any car break-in evidence that might be related to the shooting," Captain Rector added. Police are also asking people to come forward if they noticed any suspicious people or vehicles, especially between 4 a.m. and 5 a.m., or if they have video surveillance that captures images of the street or the front of their homes. If you have any information that could help detectives, call Sgt. Keith Czeskleba at 205-739-6795 or the Hoover Police Department at 205-822-5300. To leave an anonymous tip and be eligible for a cash reward, call 205-254-7777.